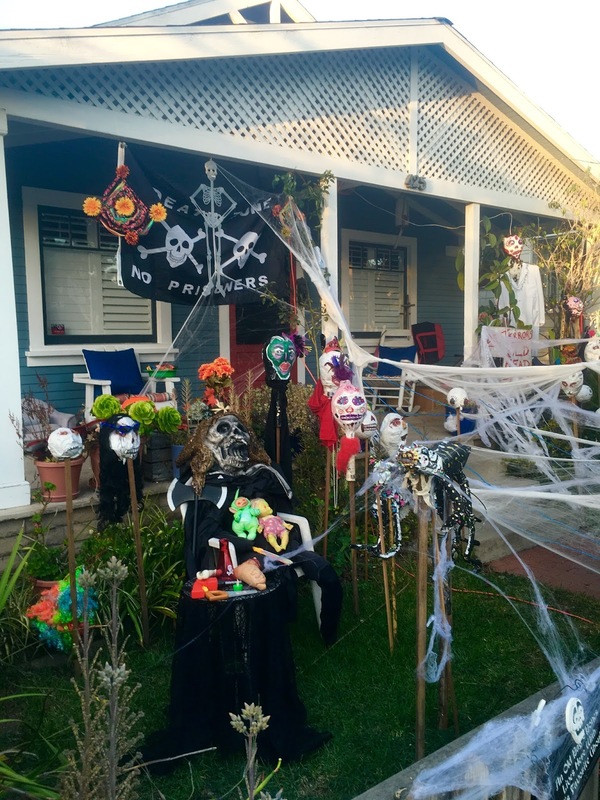 Venice is always a good time, but something about Halloween really brings out the extra fun in people ... especially on Rialto Avenue. 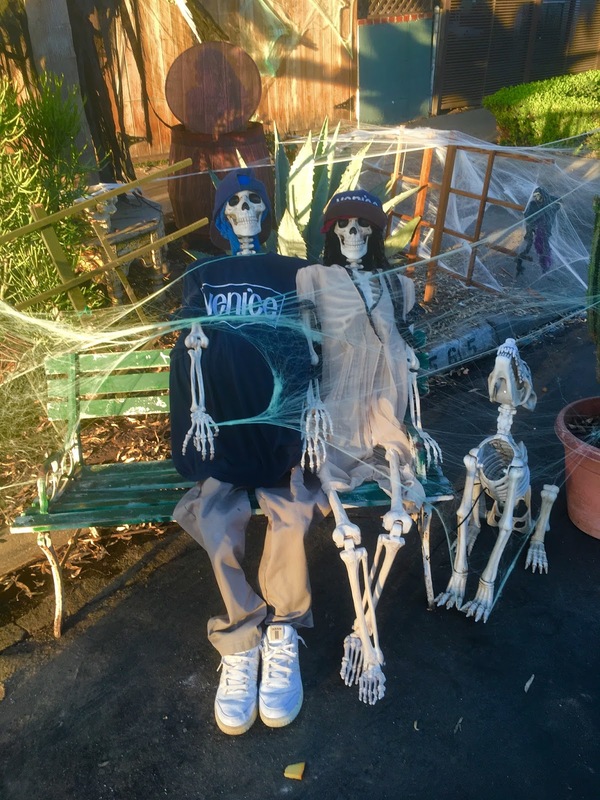 This year Halloween could not have been more gorgeous outside, so no one had to worry about getting chilly in their skimpy costumes or whatever. It was perfect. The little kids get an early start so Rialto started to get busy even before sundown, and this year the street was blocked off to make sure that everyone was safe as they ran around getting their tricks and treats. 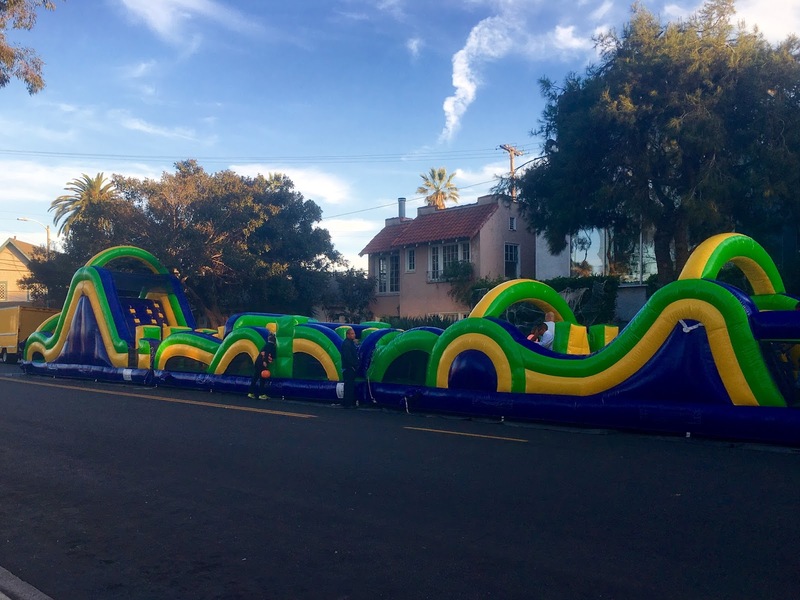 One house really upped the game this year, and put up a giant bounce house maze inflatable slide thing that kept the kids happy all night long. 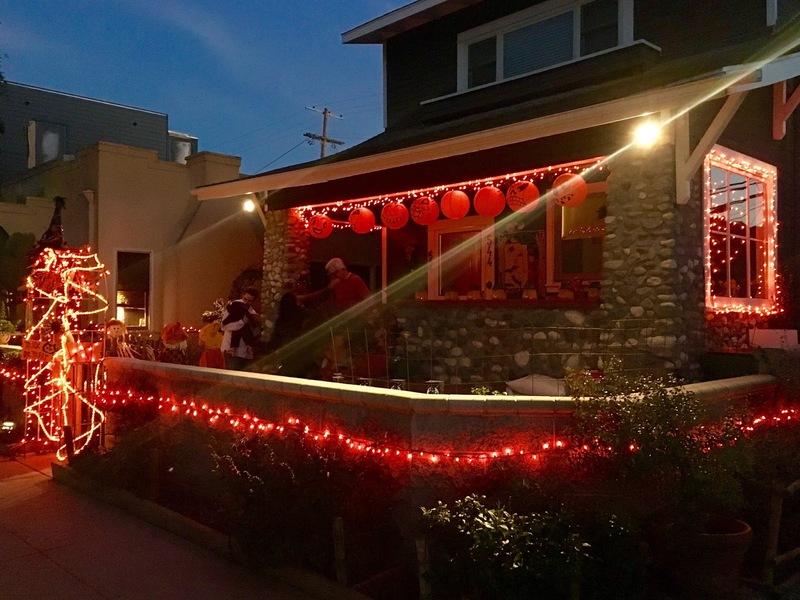 Almost all the houses on Rialto are done up in their Halloween finest, some more than others, but the spirit/spirits are definitely there. 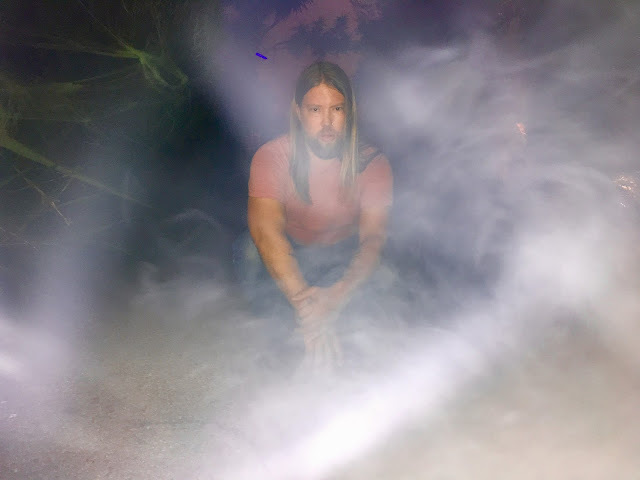 The ghosts of Venice past were also remembered, with a graveyard of lost Abbot Kinney souls being haunted by the jerky Snapchat ghost (and a run over Abbot Kinney man under the wheels of a car). Funny, but sad, but true. 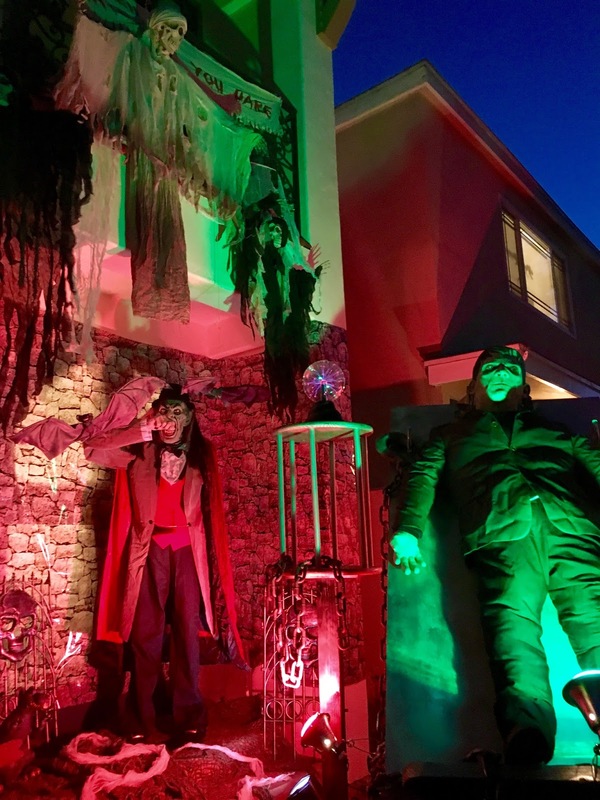 There has been a haunted house the past few years, and this year it was more elaborate than ever. 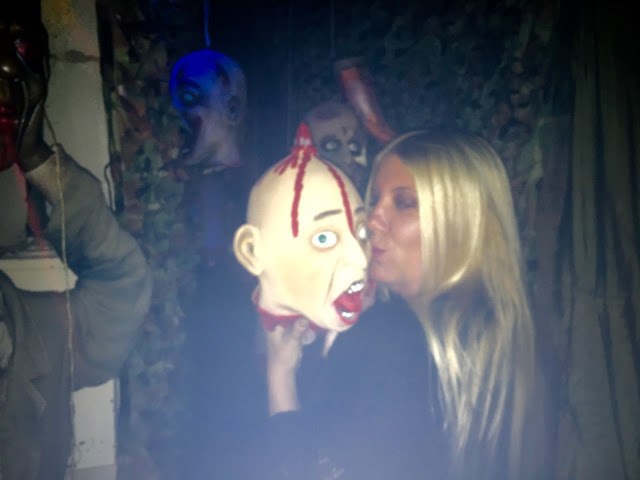 It's pretty tame, but it is actually scary, because some of the passages you navigate are pretty narrow - and have bloody heads hanging from them. 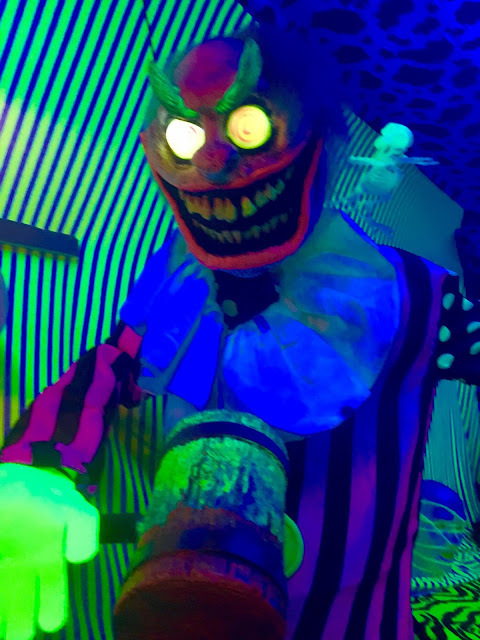 There's good use of black lights and fluorescent paint, giving it all a very Fun House vibe, and everyone was all caught up in it, having a great time. 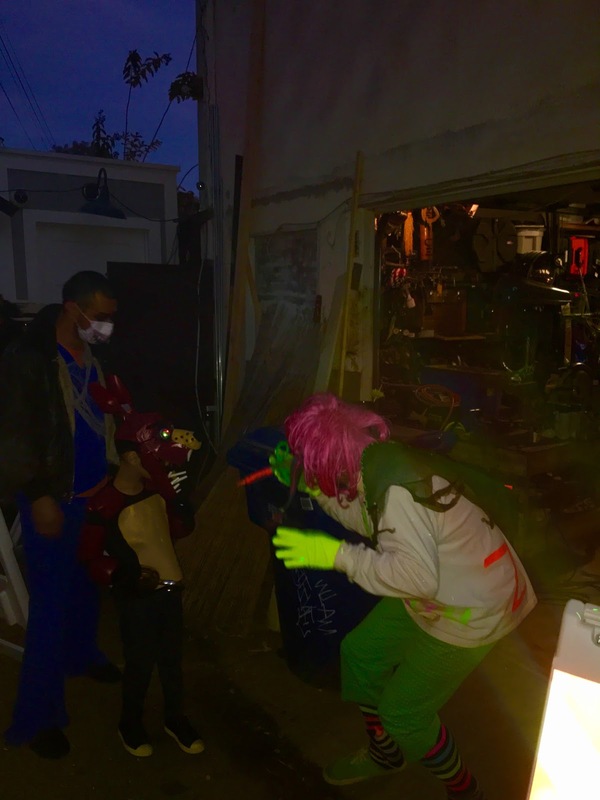 It was still scary when you emerged out the other side, because there you were greeted by a creep with a syringe of Zika that he wasn't afraid to "inject" the children with. It was awesome. Also awesome are my friends Russ and Harry, who always go all out, with both their costumes and their hospitality. 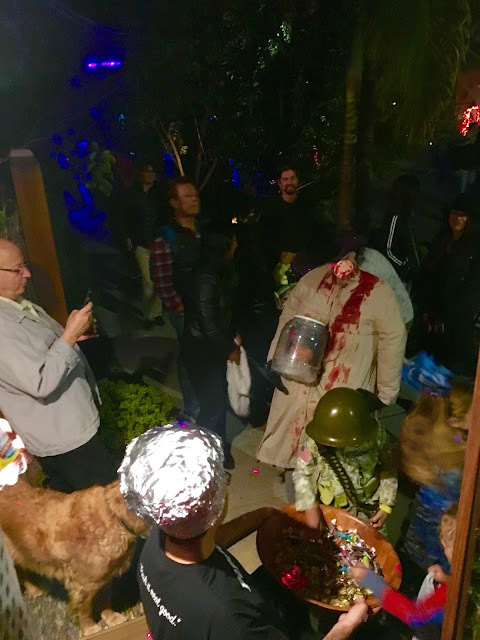 They have a big makeup table spread out, so anyone can do whatever they want, and they go all out with their snacks too ... 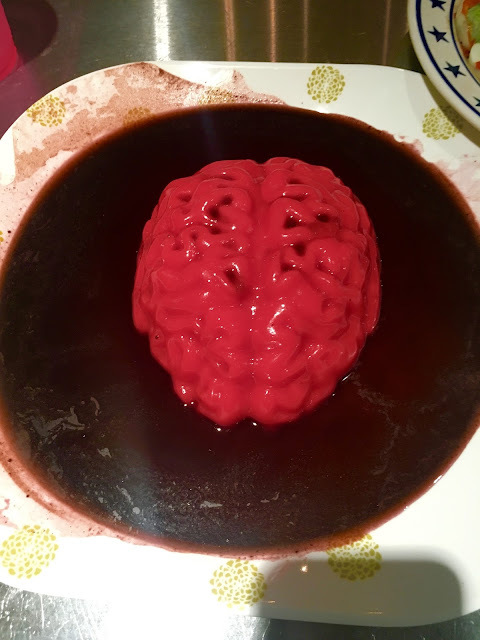 I'm not sure if the brains ever got cut into, but the effort was certainly appreciated. 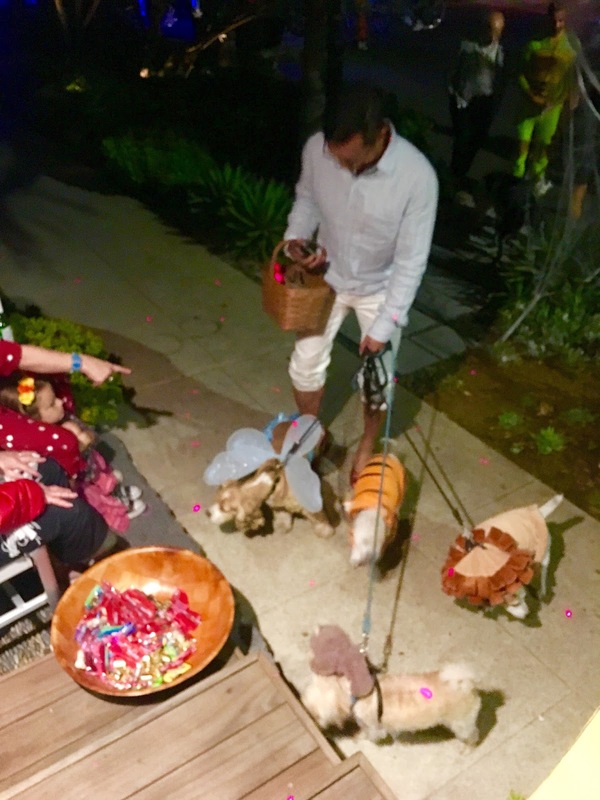 We had a great time on Russ and Harry's porch, watching all the kids come up to get their candy, one costume more fun than the next ... even all the dogs in the neighborhood were into it! 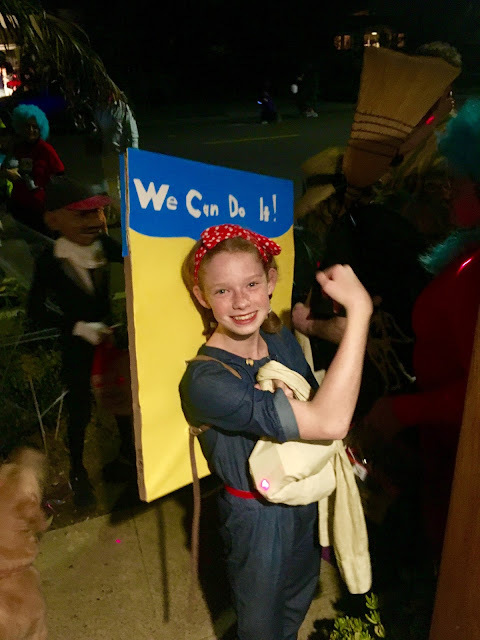 I think I was most impressed this year by two little girls ... the first one was the famous "We Can Do It" Rosie the Riveter poster girl, who was just adorable. Then the other little girl that had her own head in a glass jar that she carried around all night. How clever, and I loved that neither of these two little gems were anything close to a Princess. Love it. 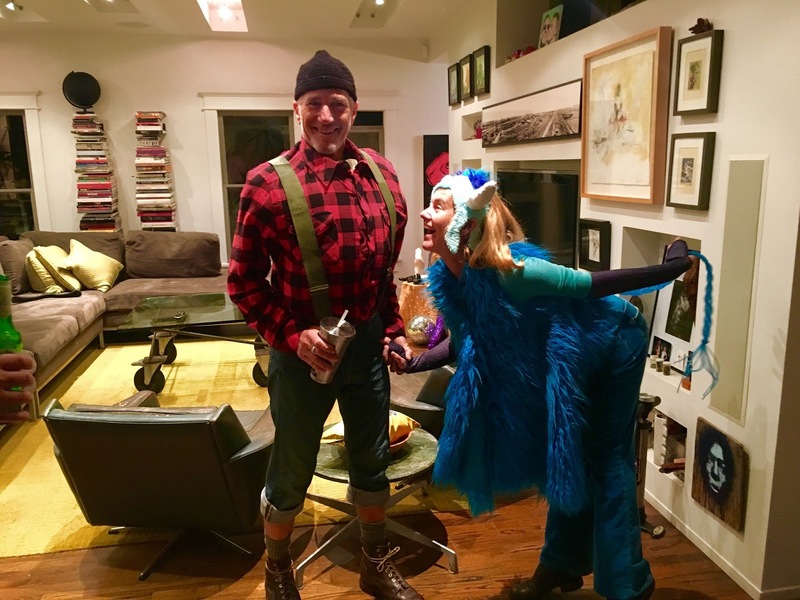 My friends, the Oziers, must get honorable mention here for their version of Paul Bunyan and Babe his Blue Ox - Minnesota points, for sure. 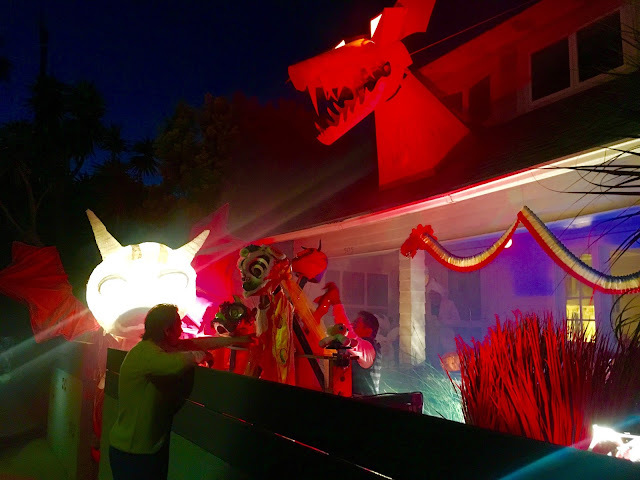 The dragon house was again blowing fire this year, and you could tell that they've inspired their neighbors to bump it all up a little more. 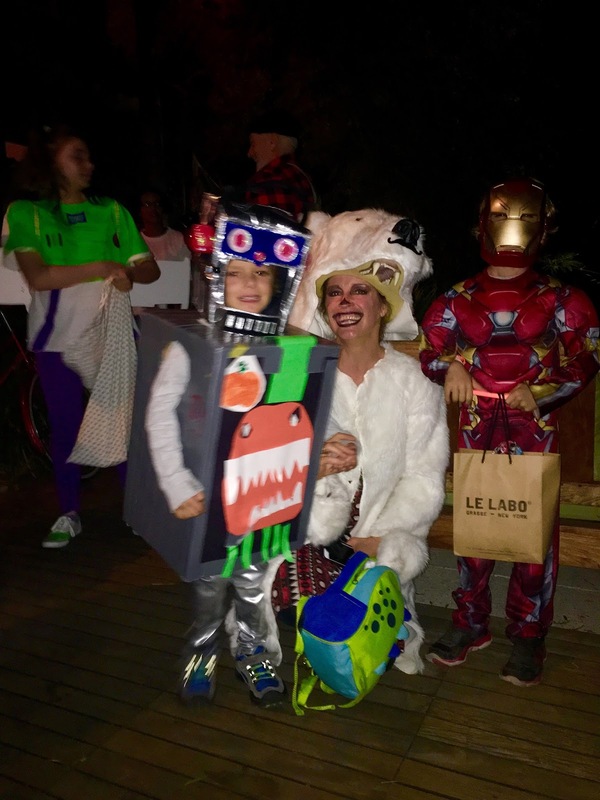 But most of all there were smiling faces on all the little kids dragging their bags of candy as big as them, and all the grownups that helped to make it another memorable Halloween here in Venice. 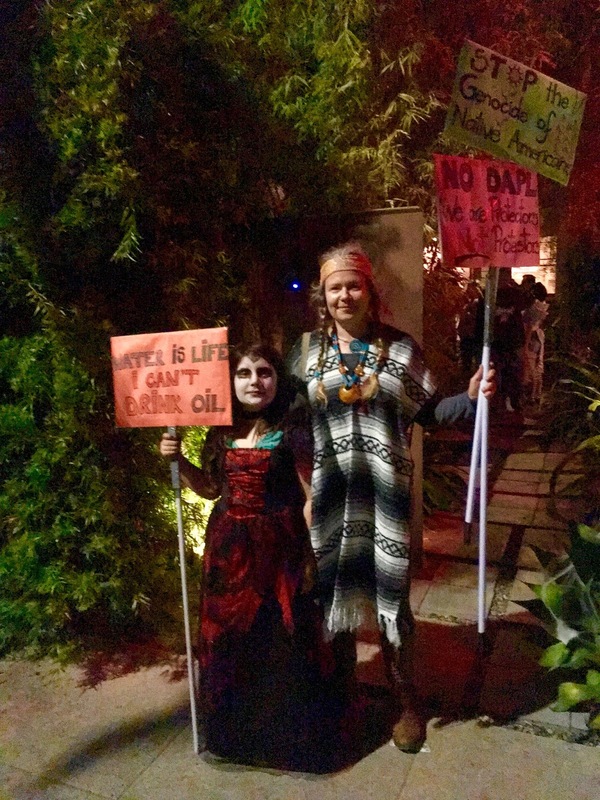 Show Me Your Mumu Opens In Venice! 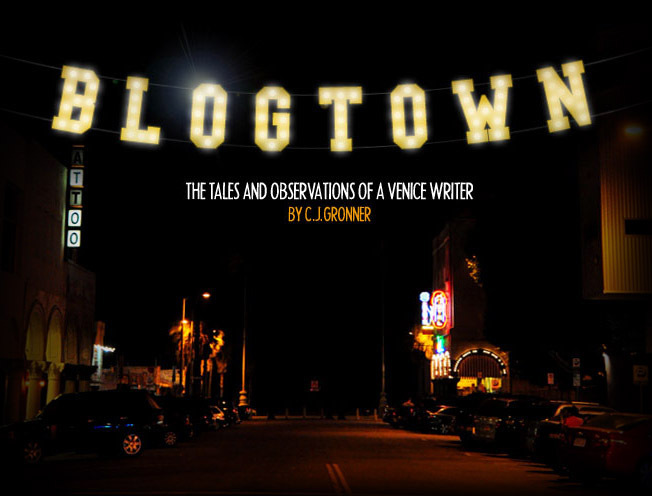 Innocence On Abbot Kinney - Happy Thanksgiving! Save The Shasta Crayfish! And Ourselves.